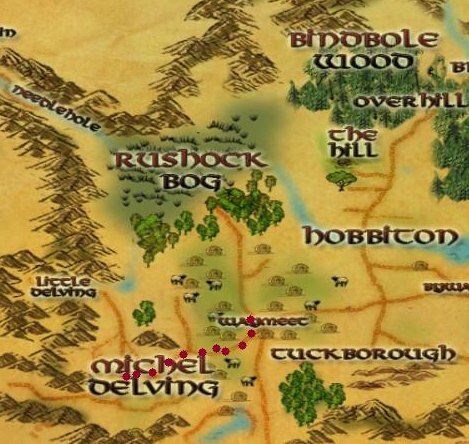 Here you will find LOTRO maps to help you find your way through the Shire. It's pretty easy to find quests and towns in the Shire, but I've noticed in game that some new players get stuck. Hopefully these maps will help! 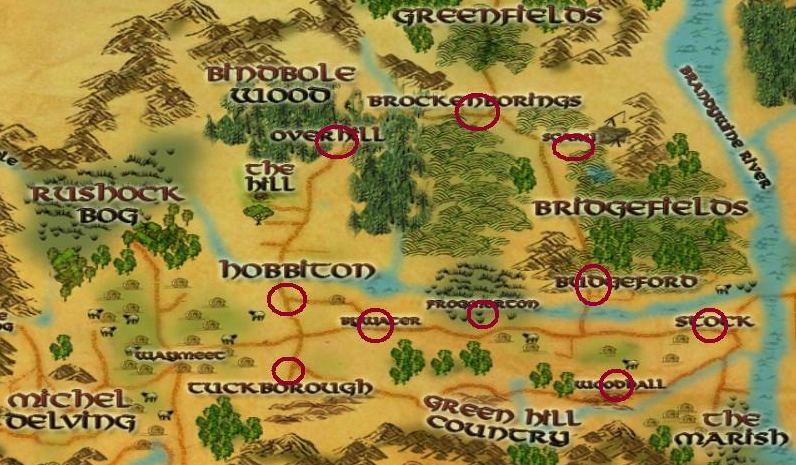 The maps on this page will show you the locations of the main towns and quest locations throughout the Shire. 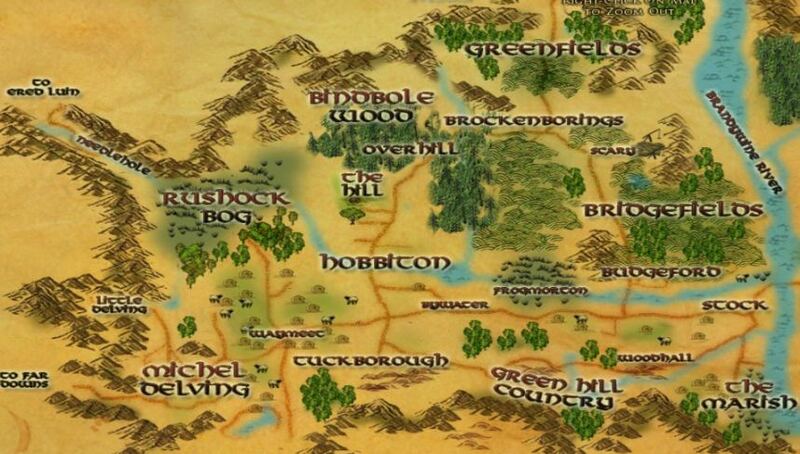 Here is the full map of the Shire. Similar to the Ered Luin map, you can pretty much see all of the major towns and roads. I'll show them in more detail in the maps that follow! This map is to help you find your way to Waymeet from Michel Delving. It's quite close, so just follow the road east out of Michel Delving and you'll run right into it. Here I've shown the path you will want to take to Needlehole. It's pretty easy, but you'll have to cross the marshes. Just head north and kill some slugs along the way! This map shows the main areas you'll want to hit for completing quests. The Shires roads take you to pretty much all of them so you won't have too much trouble. 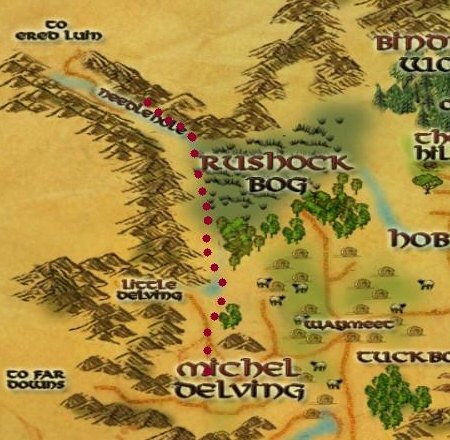 I hope you found these maps helpful... See you over in the other zones in The Lord of the Rings online!